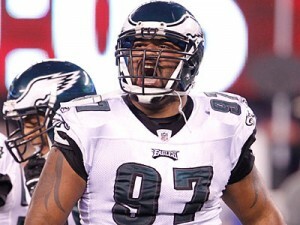 Cullen Jenkins Stays in Philly! The Philadelphia Eagles signed ex-Packer defensive tackle Cullen Jenkins last off-season as part of a massive free agency haul, but with the format of Jenkin’s contract, there was no guarantee that he would remain with the team for the upcoming year. Philadelphia’s original contract with Jenkins was a one-year deal. 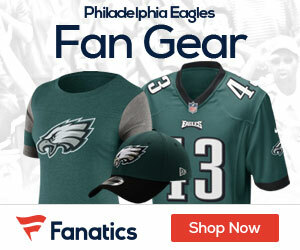 However, with the way that the Eagles have restructured his contract, Jenkins will reamin in Philadelphia through 2013. 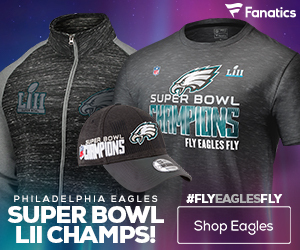 While locking down Jenkins for at least one more season, the Eagles also greatly reduced his base salary, clearing up cap space for Philadelphia to re-sign and pursue other free agents. This deal will likely be the first of many restructures as the Eagles try and cut down their roster and free-up cap space for the future. In Jenkins first season with the Eagles, he registered 40 total tackles, and five and half sacks, despite having almost no support in the middle. With no linebacker talent to back him up, Jenkins still managed to make a huge impact on Philadelphia’s defensive line. The combined effort of Trent Cole, Jason Babin, and Jenkins gave the Eagles one of the most effective pass-rushing defensive lines in the NFL. As next season approaches, that trio should be more effective than ever, and all three will play a huge role in Philadelphia’s defensive success moving forward. With a full off-season to work and develop as a team, Jenkins should come into 2012 even better than last and hopefully play on the Pro-Bowl level he was at in Green Bay.